Anime is a hugely popular storytelling sensation that originated in Japan. According to Thought Co, this originated in the early 1900s and the birth of Japanese cinema. Since the first export in 1963, this two-dimensional dramatic artwork took the world by storm, having broken into the mainstream in roughly 1995. Anime is a shortened form of the word animation, as it is pronounced in Japanese. Manga is the book form, whereas anime refers to films and shows done in this style. Anime and Manga are regarded as art forms. Often, comics are read right to left, back to front. Manga and Anime have sparked many themed businesses like cafes and pizza shops. Now popular in the west, this continues to be an iconic part of Japanese culture. In the Japanese language, there are over 2000 characters in regular use. The beauty and diversity of the language has offered iconic visual representations that are frequently applied to fashion products. Beanies offer a simplicity that provides a canvas to declare interests and passions through aesthetic means. 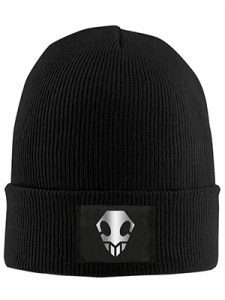 The surge of anime, coupled with modern fabric printing methods, has brought to development hundreds of beanie options for anime lovers. Set in the future, this story is based on an amnesiac alien sent to earth who later learns his true identity. The ensuing story follows the growing alien as he tries to avoid the devastating consequences of the destiny with which he was cursed. The compelling character development throughout the series added to its fan loyalty. The bright orange design is a fun homage to the incredibly popular show. 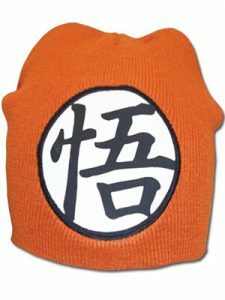 The thick woolen fit makes this Dragon Ball hat ideal for any fan. This compelling tale that has survived decades in the spotlight is centered around the concept of the Philosophers stone. With a massive following of fans, anime lovers can relate to the pursuit theme of this anime. The iconic design fits as a subtle companion that is highly recognizable to other fans of the series. The fashionable and sleek look is ideal for fans who like to dress to impress. A recent Netflix adaptation of this popular anime has given it an additional surge of success. The premise is a teenager finding a book that offers the ability to end the life of anyone to whom they can put a face and a name. Dramatic consequences and willingness to approach dark topics contributes to the continued popularity of the Death Note empire. 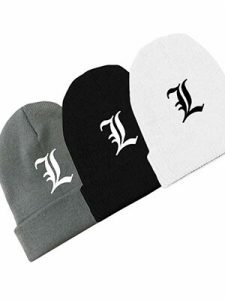 Anime lovers who are partial to this franchise love the recognizable design found on the Death Note knitted beanie. Suitable for both cosplay and to wear on the day to day, the hat fits all sizes. The featured character is iconic to fans of the series, but otherwise blends well as a design. This anime is the third bestseller of all time. It follows a young warrior, and his journey of growth into a man and a leader. The relatability of the main character, both situationally and motivationally, were a large factor in this enterprise’s popularity. The white design against a dark, woolen background makes an ideal all-purpose beanie for indoor and outdoor wear. Stretchy polyester makes this the perfect hat for long term use. Though the anime and manga style has been widely adopted into pop culture in the west, this tradition originated in Japan. A great number of fans continue to speak the Japanese language, or have picked up a great deal during their exposure to anime. 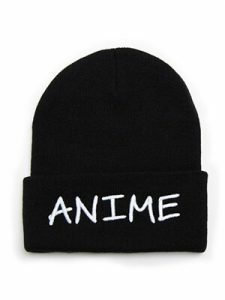 For those fans devoted to the origins of anime, a high-quality beanie highlighting the Japanese characters that translate to ‘anime’, matches well with the authentic style. This series aired over three hundred and fifty episodes, with a plot based on the main character acquiring powers in the realm of death and being thrust into a role of responsibility over the human race. 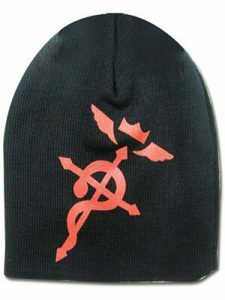 This hat is unique in its representation of the characters that keeps true to the artistic method of anime itself. By sticking to a simple and sleek design, the hat can always be incorporated to feature the Bleach fandom in any outfit. Perhaps the most westernized, and best-known anime series, Pokémon is a battle-themed game centered on the ability to choose, train, and battle with the Pokémon. Billions of dollars developed from this theme, and games, books, comics, shows, and movies continue to be popular applications. There are many widely popular anime series, though many avid fans are partial to the less-known editions. 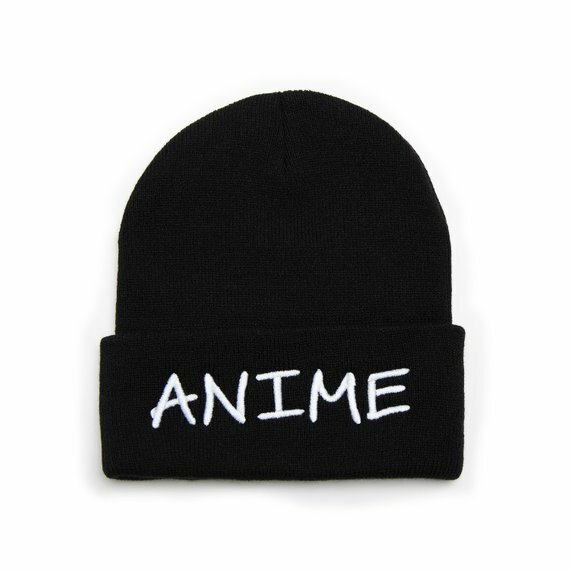 From ‘Ranma’ to obscure fiction is robust in the anime industry, so to best embrace that, a plain beanie highlighting the love for anime itself is the perfect solution. The most authentic and unique fan-oriented outfits are the simple and traditional. 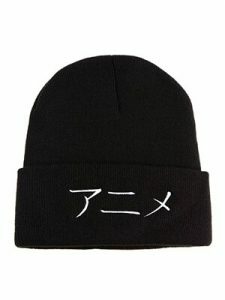 The sleek black beanie that says ‘Anime’ in original Japanese, is an option suited for those who prefer originals to adaptations. Many fans prefer to focus on the traditional versions, in original language and form. Nothing is more authentic that the true Japanese expression of anime. 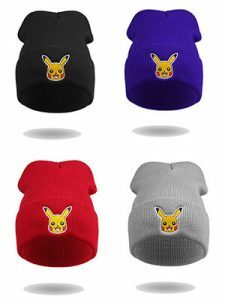 These eight options highlight the best of anime-themed beanie options. These are suitable for children and adults, and embrace the passions and interest of anime fans everywhere. Though many anime series have a niche following, the passion of the fandom will often allow for a simple icon to represent the entire series. Things like the Pokemon ball, the Naruto spiral, and iconic stars on the orange dragon balls, are ways for fans to express themselves in a way that is noticeable mainly to fellow fans of the same series. 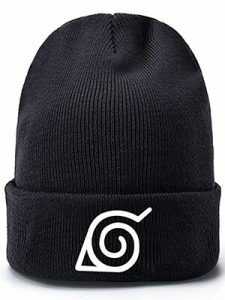 Anime beanies provide the opportunity to lean into the series in a fashionable way that integrates well into any outfit.